Confession: until just a year ago, I used to be a total power tool phobia. The only time I touched a power tool, was to hand it to hubby. 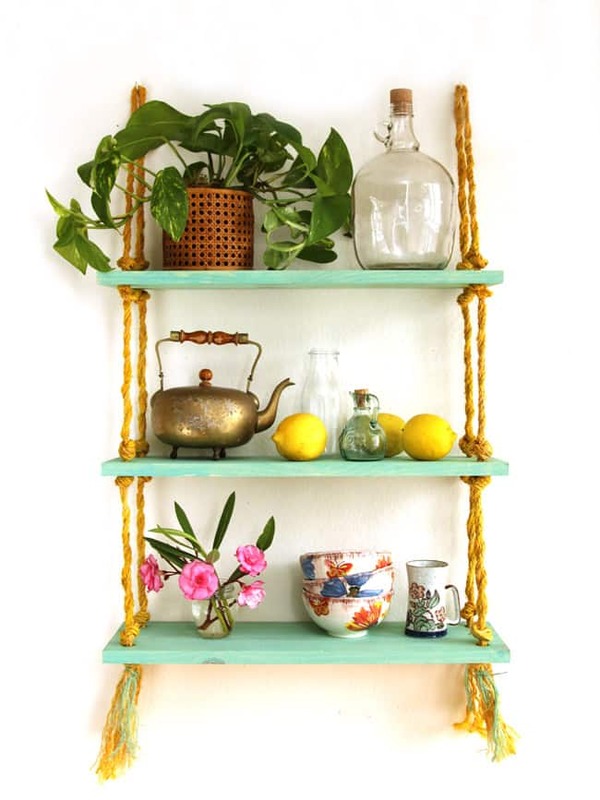 Easy to build and hang, this beautiful gold and turquoise DIY rope shelf is also collapsible, great for those of us who move a lot or love to rearrange furniture! It is so rewarding and empowering to be able to build your own furniture! This was how I felt when I jumped into a 16 week wood working class and made this wall cabinet! The rope shelf we are making today is a lot easier! 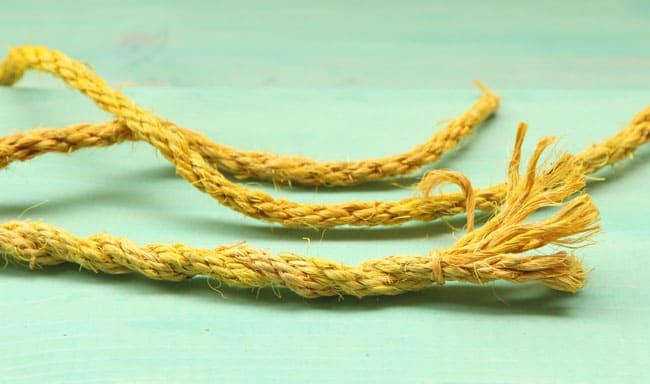 ropes: I wanted to use 1/2″ sisal rope bu it was out of stock at the time, so I used 50 feet of 1/4″ Sisal Rope, and doubled it by twisting 2 strands, so if you use 1/2″ rope, you will only need 25 feet. wood shelves: each piece measures 8″ wide by 24″ long by 0,75″ thick. 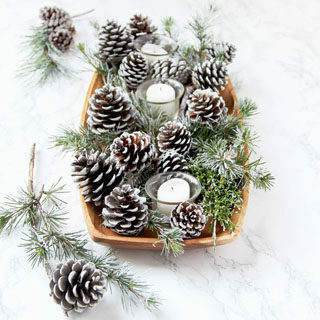 If you get 1×8 pine or other type of wood at the hardware store, they will cut it into 2′ section for you. 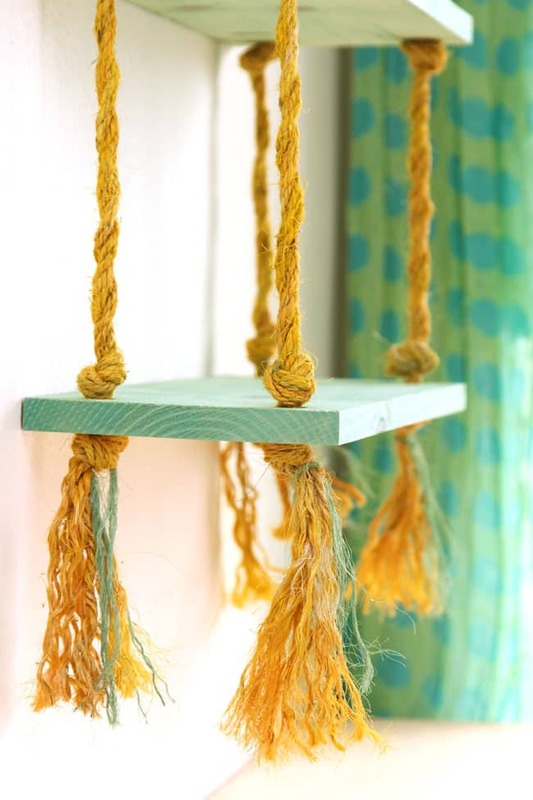 paints: I used acrylic paint to dye the ropes and paint the shelves. It’s super easy to hang the shelf. We used Monkey Hook Easy Picture Hangers for Drywall, 50lb. 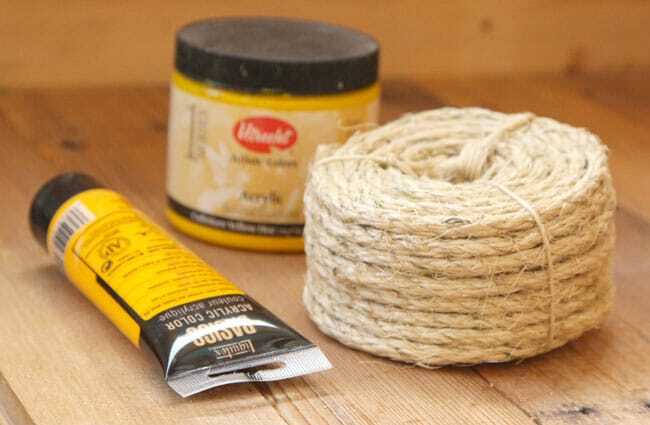 Dye the rope by dipping it into a bowl of diluted yellow acrylic paint. Lay it on plastic or hang it to dry. Sisal ropes can have lots of loose fiber hanging, so I trimmed it a bit to give a cleaner look. 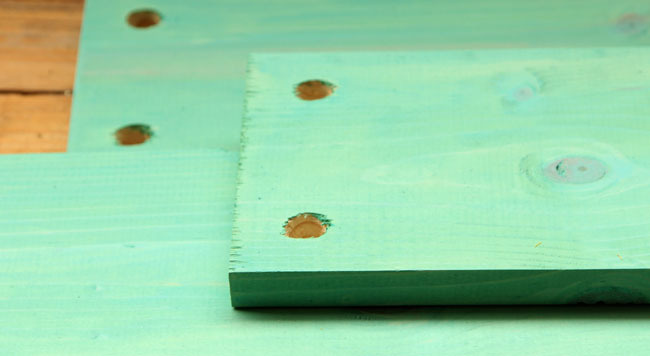 Here’s a easy little trick on how to drill the 4 holes on each board: cut a square piece of paper 1.5″x1.5″, line it at each of the 4 corners, and draw a dot at the other corner. This will give us the centers for the drill to start. 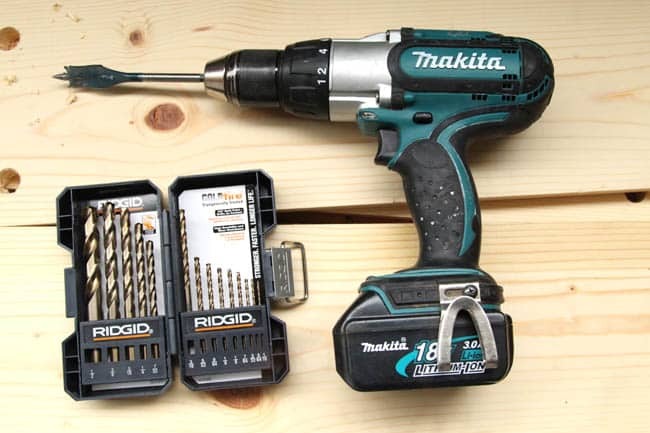 We used a 3/4″ Spade Drill Bit which is what we had, but it’s better to use a Spiral Flute 3/4″ Drill Bit because the cut is smoother. 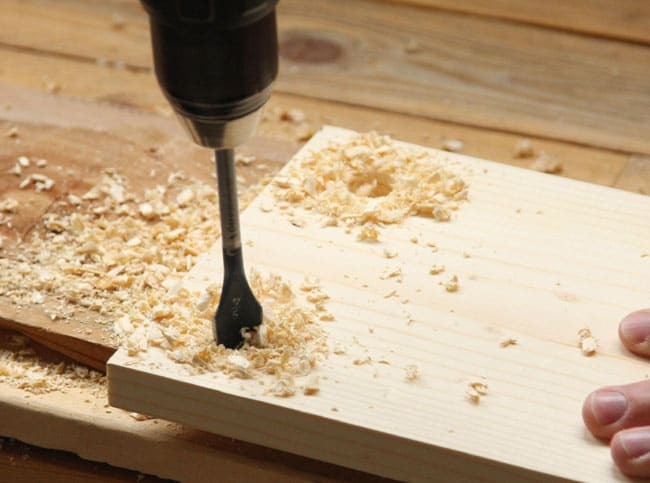 Use some scrap wood under the board that will be drilled through to protect your work table. Sand the wood a little if needed. 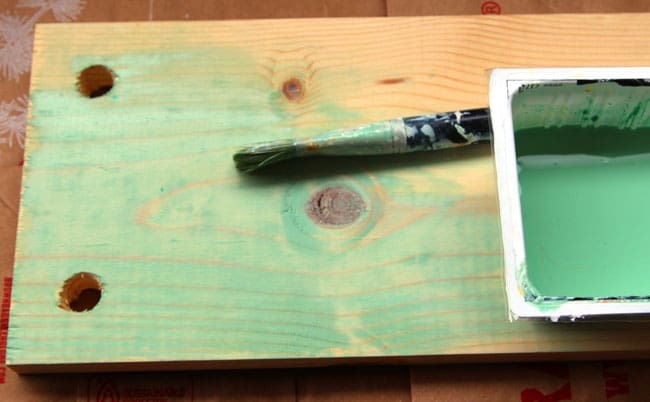 Paint the wood with your favorite colors of acrylic paint or milk paint. I love turquoise, I also diluted the acrylic paint so the wood grains still shows a bit. 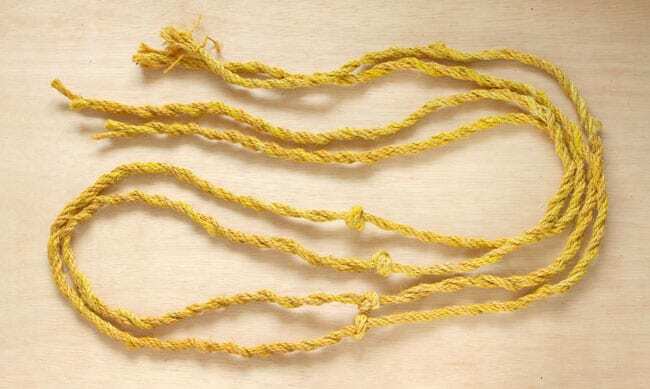 If you are using 1/4″ rope like I did, twist 2 strands to form 1 bigger strand. They stay together quite easily. 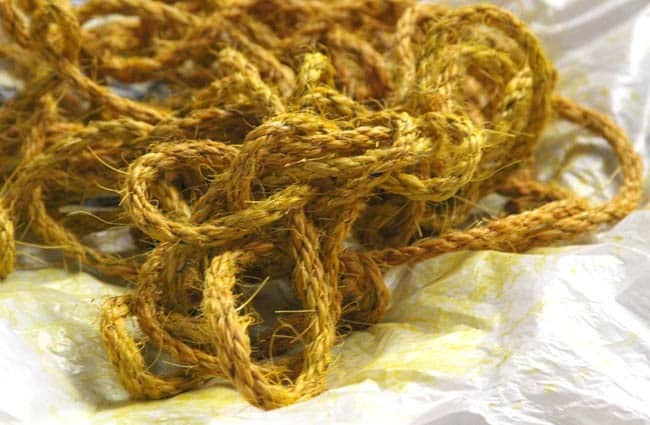 You want to end up with 2 pieces of 1/2″ thick rope, each about 12.5′ long. 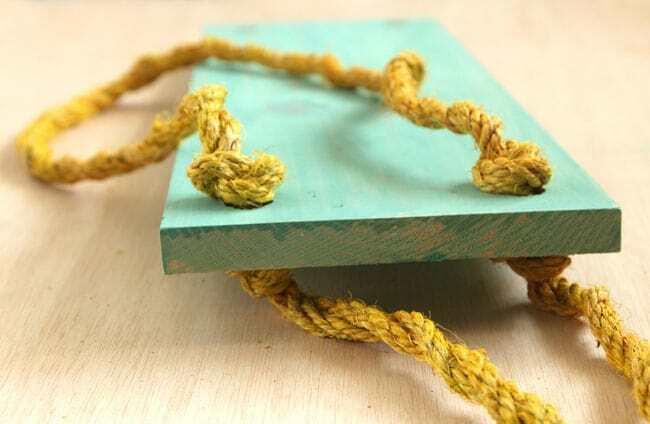 I also colored a small piece of sisal rope the turquoise color for some fun details later. 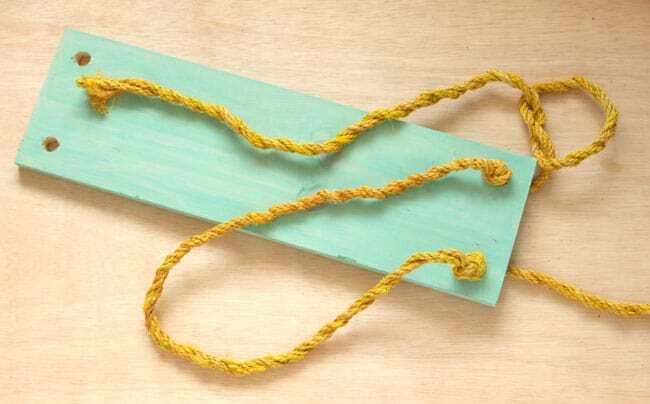 Fold a piece of rope in half, start making the first 2 knots, one at about 11″ from the mid point, the other at 13″ from mid point. Thread through the 2 holes on the top shelf, then tie a knot on the underside of each hole. Repeat on the other side. The second and third shelf are all spaced at 12″ apart. 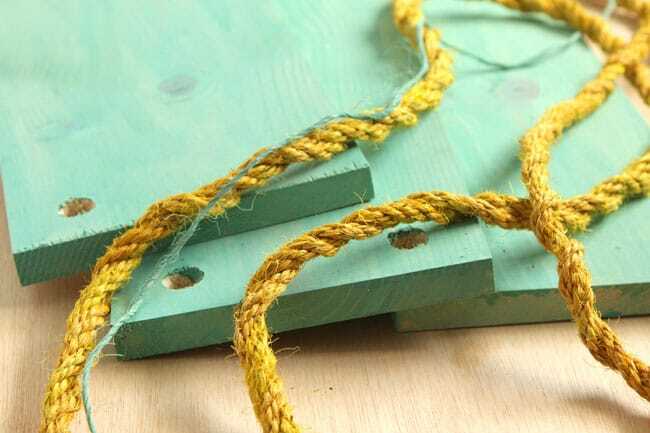 So measure the rope and do the same knotting and threading for each shelf, keep testing and adjusting the knots if needed. Gotta have tassels right? 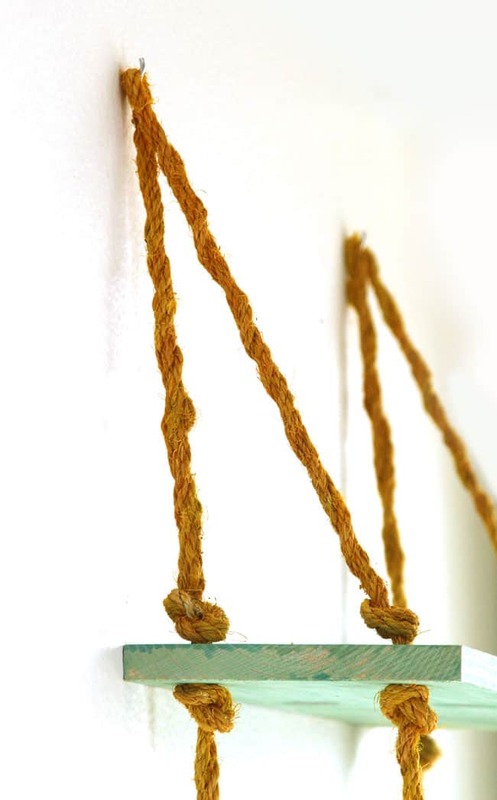 It’s so easy to make tassels with sisal ropes! 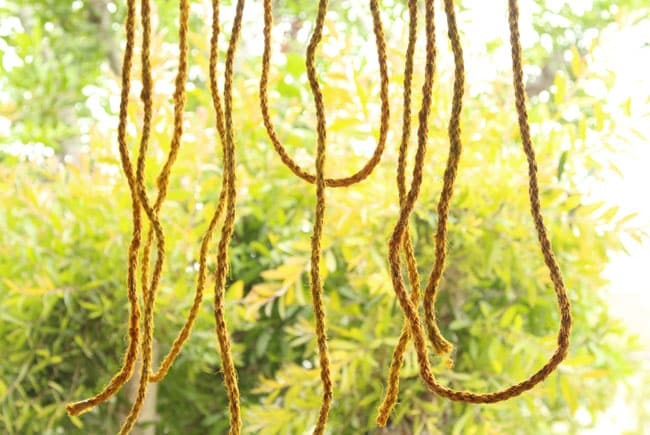 After the last knot, keep loosening all the twists on the ropes until you get a tassel like bundle. I also added the small piece of turquoise rope for a fun accent. 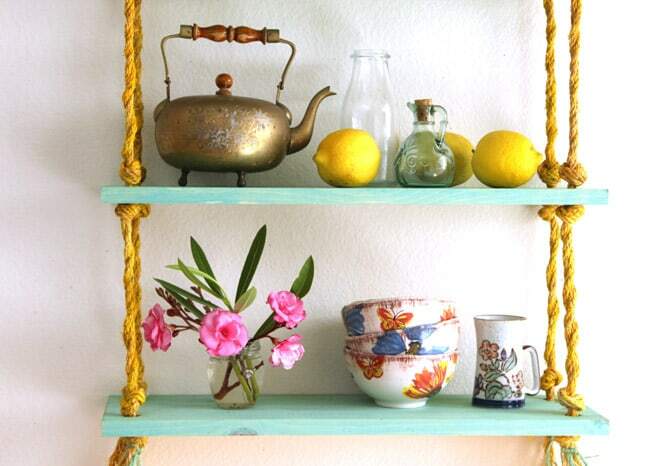 There are many ways to hang the shelf. We have dry wall, so we used these 50lb Monkey Hook Easy Picture Hangers for Drywall. Two of them can actually hold 100 lb! 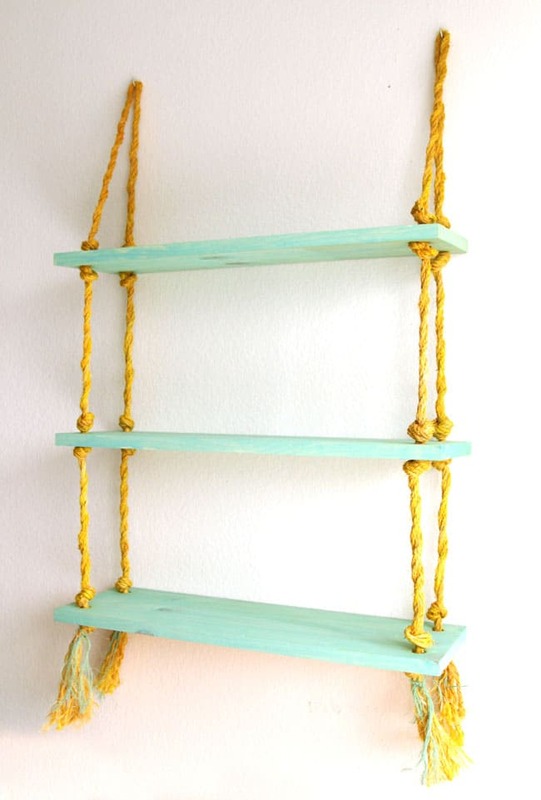 What style should we call our rope shelf? Beachy and carefree? 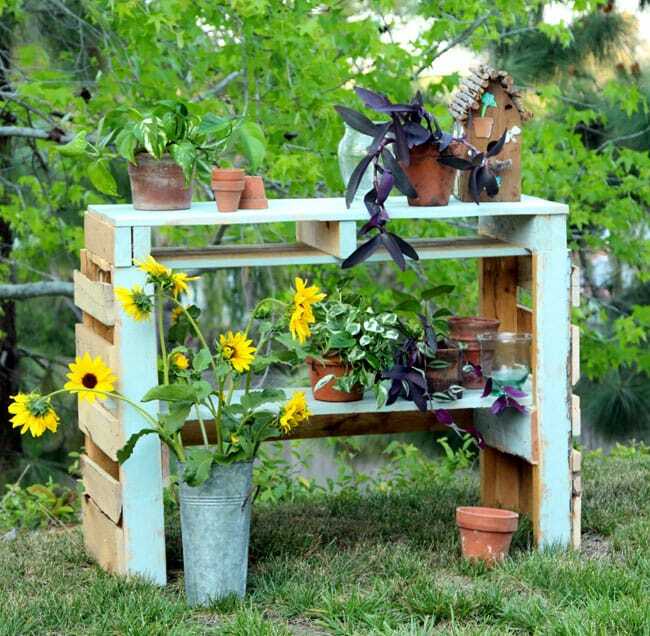 Talking about carefree, this two pallet potting bench is definitely part of the group! 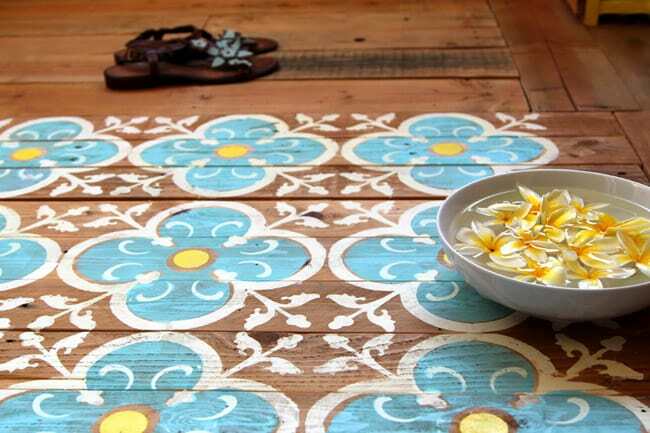 Or these stenciled pallet wood floor mat! Cute, cute, cute!! 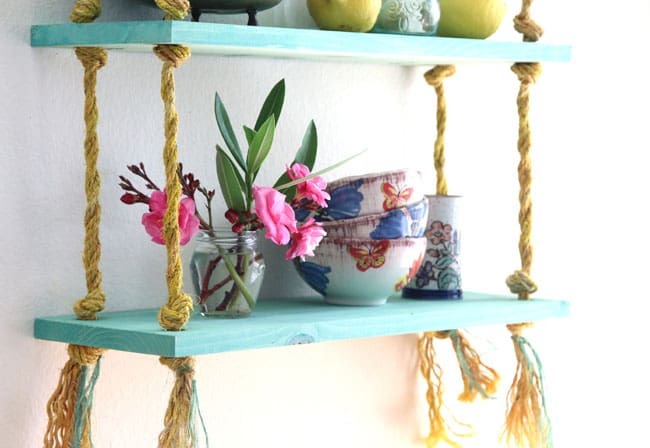 Love the rope shelf and especially the colors! 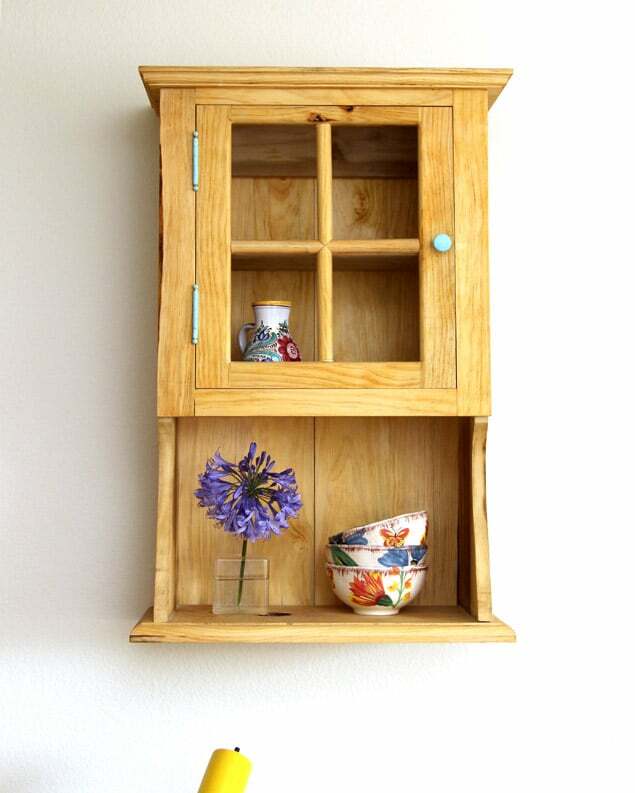 Your wall cabinet is pretty awesome, too! 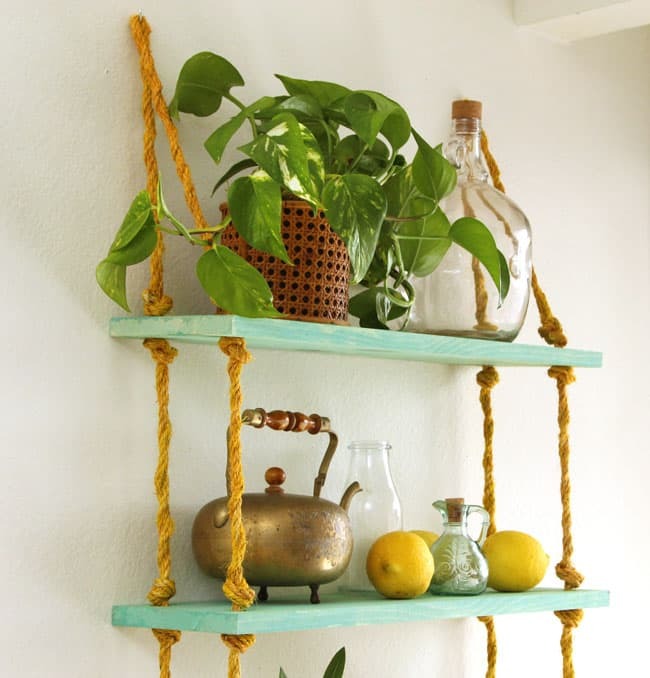 I’ve never made a rope shelf, but you make it look so easy! Great one tool project! 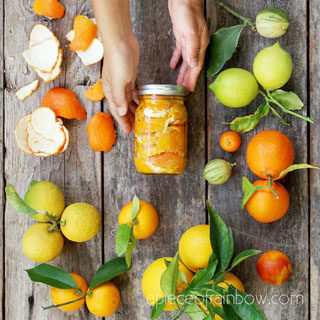 That is such a cool project – love it! 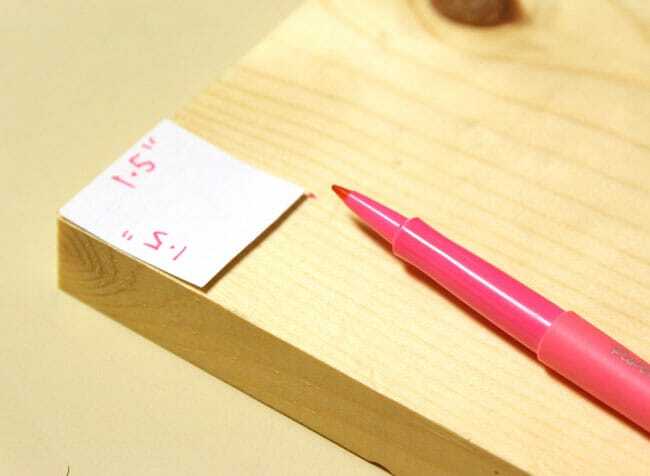 Great tip for easily marking the holes on your boards BTW. Gotta love the Monkey Hooks, they are always in my tool box. It was great fun doing this challenge with you! What a great one tool project! 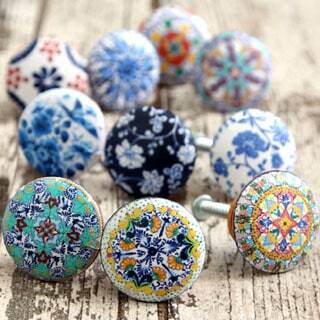 I love the colour choices, and it has such a funky and fun vintage feel to it!! Great job! I love it! I adore how this turned out Ananda – the colors are beautiful and the tassels at the end are so fun! GAH! You are so inventive! This is such a great shelf. I can totally imagine this in a beach house. Super cute Ananda. I would’ve never even thought of it. You are so creative. I love it! Pinned! How is this secured again? I could imagine bumping into it and making everything fall to the floor. Or heck, even just putting something on the shelf looks like it’d be an issue. I had a quick question. I’ve got lots of boys in my house so things have to be pretty sturdy and I was afraid that the knots would slip? Did you use any special type of knot? Nice project! How do you get the knot exactly where you want it? half the time it ends up half an inch too low or too high and I get a crooked shelf. hi conor, that was the hardest part, and i should really add some tips to it! =) try using duct tape or a clip to mark the spot of each knot , which should help a lot! =) you can also adjust the knots slightly to move them up or down 1/2 inch.